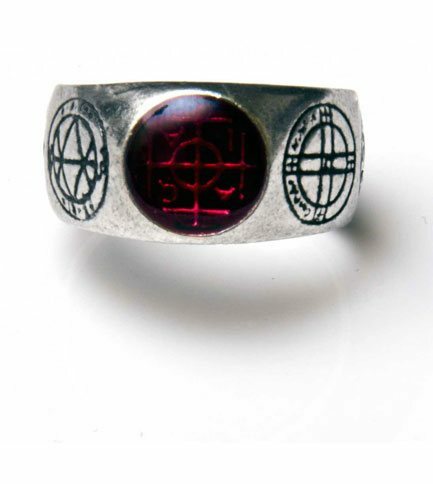 Five magical talismans of profit and protection. 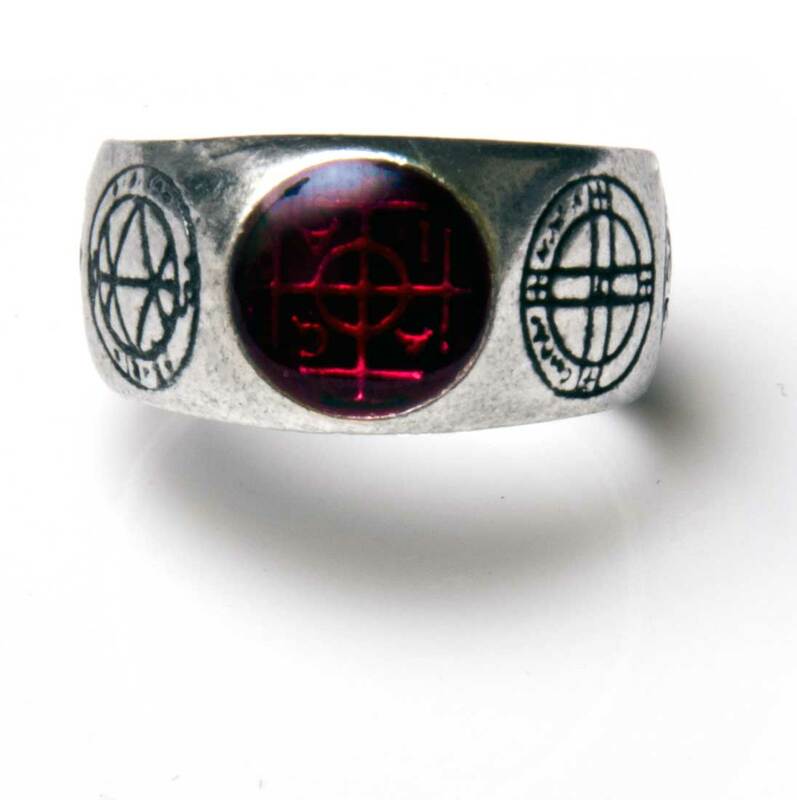 The central Kabbalistic sigillum Agla, stands for Thou art mighty forever, O Lord, with the remaining four seals for love, memory, safety and peace. 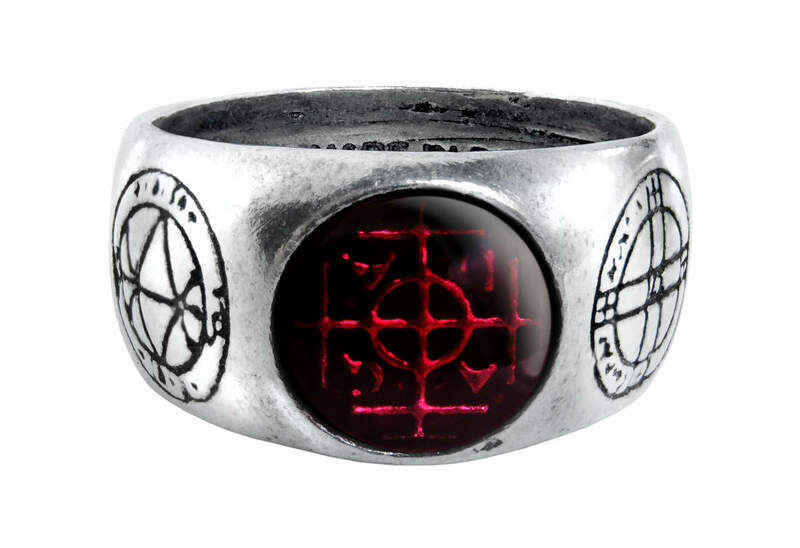 Pewter and red/pink enamel by Gothic Alchemy.